129 people travelled in 2012, compared to just 69 in 2011. 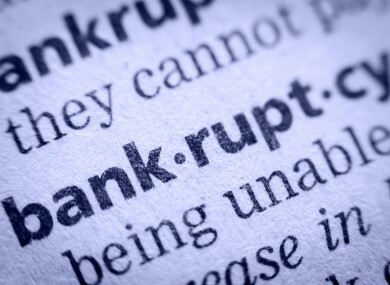 Just 35 people were declared bankrupt in Ireland in 2012. THE NUMBER OF Irish residents who relocated to England in 2012 for the purpose of declaring themselves bankrupt was nearly double the year before. Figures from StubbsGazette have shown that 129 people travelled in 2012, compared to just 69 in 2011. As the year progressed, however, the rate at which people travelled began to decrease, with figures for Q1 of 2012 showing an increase of 131 per cent on Q1 of 2011, whereas the increase in Q4 of 2012 as compared to the same time period in 2011 was just 39 per cent. Just 35 people were declared bankrupt in Ireland in 2012, less than a third of those who travelled to the UK. It is certainly not practical for the vast majority of people considering the bankruptcy option especially if they have children who would have to be relocated in the UK with all the attendant headaches that entails. A recent Red C survey carried out on behalf of StubbsGazette found that 6,900 people are likely to apply for bankruptcy in Ireland within the first year of personal insolvency legislation being introduced, an increase of nearly 20,000 per cent on the 35 that applied in 2012. Email “Nearly twice as many Irish travelled to UK for bankruptcy proceedings in 2012”. Feedback on “Nearly twice as many Irish travelled to UK for bankruptcy proceedings in 2012”.